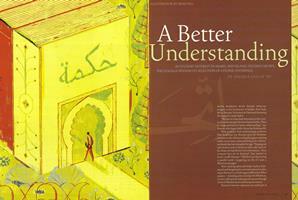 As student interest in Arabic and Islamic studies grows, the College widens its selection of course offerings. 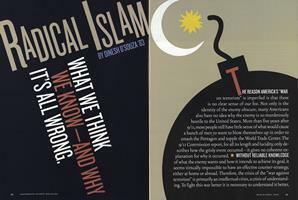 What we think we know about it—and why it’s all wrong. Trustee elections. A failed constitution. Campus unrest in the fall. Athletics, academics and fundraising. 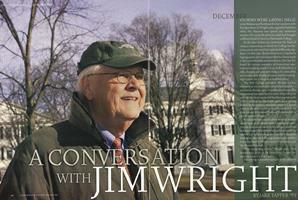 Dartmouth’s 16th president weighs in on these and other topics in a wide-ranging interview. In 1970 legendary trumpeter Don Cherry left an indelible mark on Dartmouth’s music scene. An intrepid investigator reveals the truth behind the phony names listed in the annual freshman Green Book. An alumnus reconnects with Dartmouth as an alumna and finds Dartmouth has changed considerably, too. Lee Stempniak ’05 made it to the NHL the old-fashioned way: by working harder than anyone else.